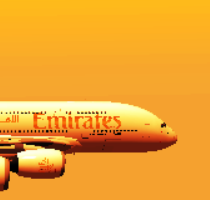 YSFlight addon development, questions, tutorials, & more! Quan Vo wrote: So you're doing Malta, right? Actually Patrick has done both, Malta and Pantelleria. I am just updating both islands and adding some stuff mostly to the airfields, but like you just saw, I did update the colours on Pantelleria quite a bit based on Google Maps. CMI Extended with the islands of Malta and Pantelleria on the lower right. Pantelleria Airport terminal and ramp area, including the landside. The ramp to the departures level is driveable. I still need to do some minor additions/corrections here and there, then edit the CMI documentation to include details on Malta and Pantelleria. Will be released soon. I added lights to the Abel Jets HQ skyscraper helipad as requested by Dragon Mech (and will help anyone else landing there). I've also expanded the General Cargo Apron by 5 new bays. General Cargo now has a total of 9 parking positions which increases MXA's Cargo City parking position count to 31 total positions. General Cargo can be used by basically anyone but priority is given to non-hub cargo airlines. However, UPS, Fedex and Abel Cargo planes can also use the GC ramp as overflow parking if needed. Those of you who have been following my website for a while now know I have major updates planned for Atlantica, which is the first map I made for YSFS. Those updates are now underway, beginning with a new, international Concourse B at CSH. This new concourse replaces the old one. I decided to make it taller and wider to reflect the new 380s that CSH is now handling, not only as a result of Global inducting them in its fleet but also to accomodate other carriers' 388s that will possibly be flying in as well. You can see the complete list of updates and the progress of those here. The new international Concourse B at CSH. Obviously a lot of work is still left, but if everything goes according to schedule the updated map should be out before the year's over. This includes shifting RWY 09-27C to the south by about 150 feet, adding J-lines to the concourses at both, CSH and EPT and a lot more. I finally got some time this year to continue working on the Atlantica V2.0 update. Below are some screen shots of what I have been working on. If you know what the previous CSH terminal area looks like you'll notice quite a few changes here. Here's an overview of the entire terminal area looking to the northeast. A new control tower is now part of the west ramp area as well. The old one that existed between RWYs 09C-27C and 09R-27L has been demolished to make way for the construction of the new 09C-27C. First there are proper J-lines for all aircraft parking positions, not only at the terminal concourses but also at the cargo area. I added an elevation grid cargo building and 10 parking positions which can accomodate upto Code-F aircraft. I like adding different elements and keeping things a little interesting. So here are some Remain Over-Night (RON) parking stands which can do double-duty as hard stands for daytime use. The west side of the terminal area. A new addition is the Concourse A satellite, which is exclusively for use by Stellar Airways for its narrow-body CS-100 and 737-500 operations. The Q400 operation still remains at Concourse D shared with Regional's operations there. You'll notice the blue and red "flex" taxilanes. These will allow Global's narrowbody 320-family aircraft to taxi in (red taxilane) or taxi out (blue taxilane) on an as-and-when-needed basis. The main taxilane (yellow) is used only by widebody aircraft when using the neighbouring international Concourse B gates. This kind of operation is not used widely but can be found at Frankfurt Airport and a few others in the real world. I thought this ramp was a great opportunity to do this in YSFS. I also added a larger elevation grid terminal landside building since the previous one was a bit small. 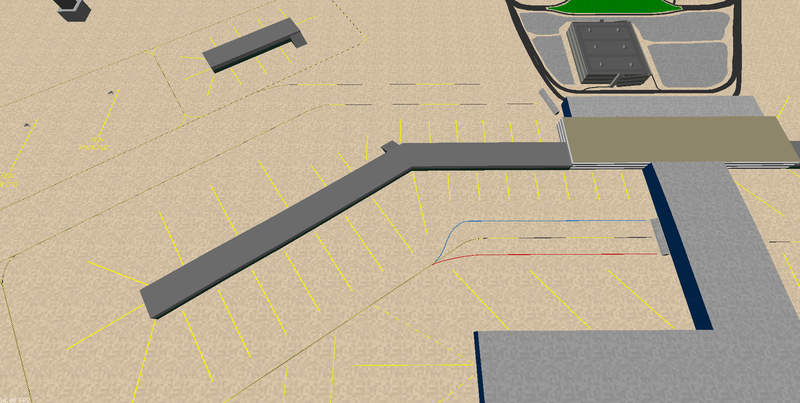 Other new landside additions include expanded parking and a new garage. Since I expect there will be heavy volume of inbound and outbound traffic (in my replays anyway ), I added some Apron Entry/Exit Points (AEPs, or "spots") to the main apron entry/exit taxilanes. The idea is for ATC to instruct aircraft entering/leaving the ramp to hold at these numbered points when the traffic volume dictates. Something else you don't find elsewhere in YSFS. I re-arrranged Concourses C and D, the previous layout was somewhat un-intuitive. It now feels more in line with what you would expect. The widebody gates on the north ramp of Concourse C are flex-gates, so they can be used by international as well as domestic flights. The start positions for those gates will be named accordingly. Since I had this double-wide taxiway on the original CSH airfield (by accident), I saw an opportunity to use the red/blue/main taxilane strategy here as well. The red and blue taxilanes allow Code-E and below aircraft to taxi by without any problems, while the yellow can be used by Code F aircraft. A new sky colour that I modified from CMI Extended. I noticed the one I used for CMI-E appeared a bit more purplish on some screens and in some light direction settings. Hopefully this is more natural-looking. Last but not least, all main taxilanes now have night lighting. 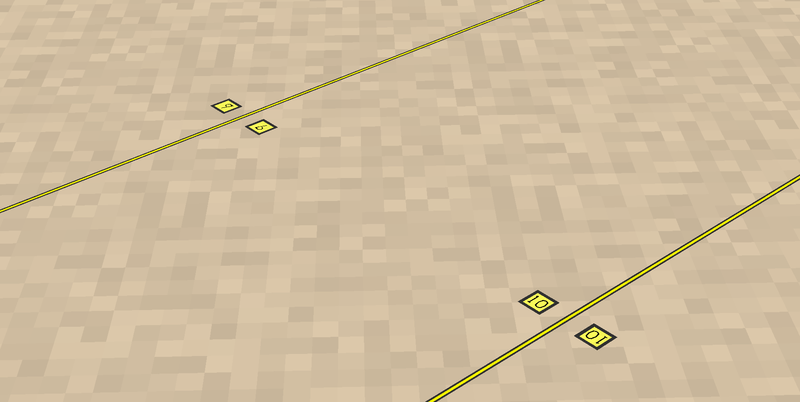 I've also put in some other minor features like elevation grid jetblast walls and underground tunnel access points for certain concourses, which I'll be using in the future as well. More work to follow in the coming weeks! Check out my website's WIP page for what's to come and updates! The newly re-built center runway at CSH is now complete, along with the associated high-speed exit taxiways. Both ends of the new 09C-27C are equipped with an ILS and PAPI, and of course, the runway has full-on night lighting. I also gave it new hold pads at either end, both of which can accomodate upto two Code-F aircraft at a time. The reason for this is because I wanted to give more flexibility for departures. I've changed the name of Euphatica to Kapman (CAP-mun) City. For some reason Euphatica seemed too weird of a name. Kapman City seems much more reasonable (and easier to pronounce!). Also, I checked Google and this city name does not exist in real life so I'm good to go I guess! At any rate, Kapman City International Airport now has proper J-lines at all concourses, enough taxilanes, and an improved cargo area (cargo buildings stay the same). Apron Entry/Exit Points will be added as well, in addition to adequate green taxilane lighting. I've also overhauled the previous RWY 23 holdpad. The previous one was rather shoddily done. This new one will accomodate upto two Code E/F aircraft at a time, and upto three Code A-D aircraft simultaneously. Taxilane striping/lighting will be added soon. About 80% of the work at Kapman City International is now complete, and I should be done with everything here in the next few days. Then work begins on sprucing up SER (Serosa Airport) on the West Island. There really isn't much to be done there, so I expect that will take a day or two at most. I still need to relocate the high-rise tower west of CSH, that's very minor work. With new documentation taking another two days or so, release of this version appears to be on track for July 31. The new airport code for Kapman City International: KCY. I have already re-named the ILS box and VOR tags to reflect the airport's new name and code. All work at KCY is complete, so work will now start at SER. The new RWY 23 hold pad. The center dashed taxilane can be used in tandem with the outer two main taxilanes with Code C or lower aircraft. The facility in the background is the new aircraft observation deck and tower. The same area at night. The dashed taxilane has been given orange lighting to demarcate it from the main taxilanes. I put in AEPs here as well on certain locations of the ramp areas. Back at CSH, there is a new maintenance/overhaul base for all NCA YGL division aircraft. This base will also handle maintenance on NCA's 747-400s and MD-11s. The hangar on the far right is a third-party company hangar. For a complete list of work items and the progress so far, you can visit the WIP page on my website. Just a suggestion to your work: more short final location. I love flying short final! If you consider adding more short final location, can you make it higher and further from the airport? Adding short final positions is pretty easy (provided you do a little easy Trigonometry ). I have a short final start position in this map for RWY 27C at CSH, I'll go ahead and add one more each at KCY and SER. I use the standard three-degree glide slope to calculate how high the start position should be, based on how far out from the ILS box I want the position to be located. You said "higher and further" but the more the distance from the ILS box the more it's not a short final any longer . Did you have a distance in mind? You said "higher and further" but the more the distance from the ILS box the more it's not a short final any longer . Did you have a distance in mind? I would say 9 miles at 3000 ft or 6 miles at 2000 ft. Make the landing gear remain retracted at the start if possible Those reference are from Hong Kong and CMI Extended map. I overhauled the Cashville skyline. I'm in the process of putting in start positions at the CSH and KCY concourses. There will be a plethora of them to choose from. Also included will be some new short final positions . Thought I'd let you guys see a small project I've been working on at the request of Monoceros for the past 3-4 months. It's a shared airport/airbase. The entire airfield is based on this diagram, adjusted dimension-wise for handling large military bombers and airlifts, and also has parking for combat jets and such. 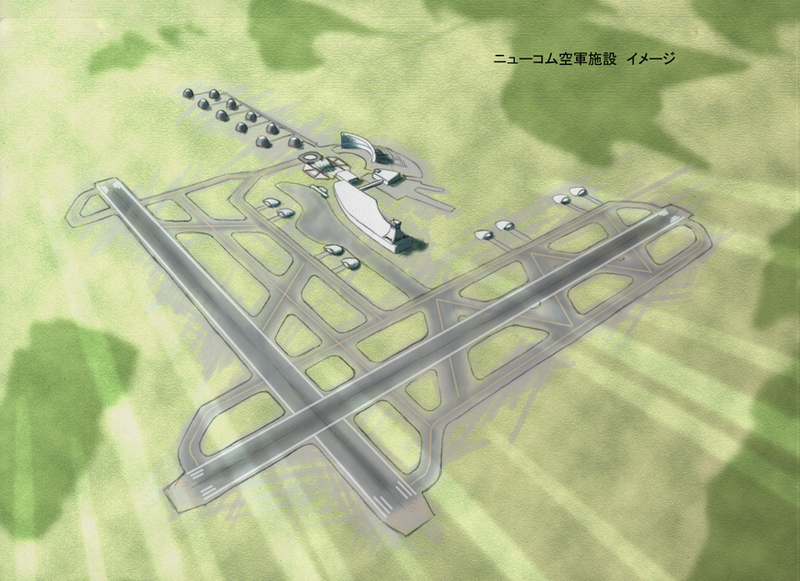 The original diagram also has a civilian side, a passenger terminal and parking for planes. I've adjusted the dimensions of that as well to account for the large airfield and that resulted in an 11-gate terminal that can handle widebodies (one gate can handle upto Code-F aircraft). The parking/provisions for the airbase part itself have been done based partly on the diagram and mostly on feedback from Monoceros. This airport/base will be named Maria Teresa Callejas International/Callejas AFB. This is a fictional U.S. territory/island. 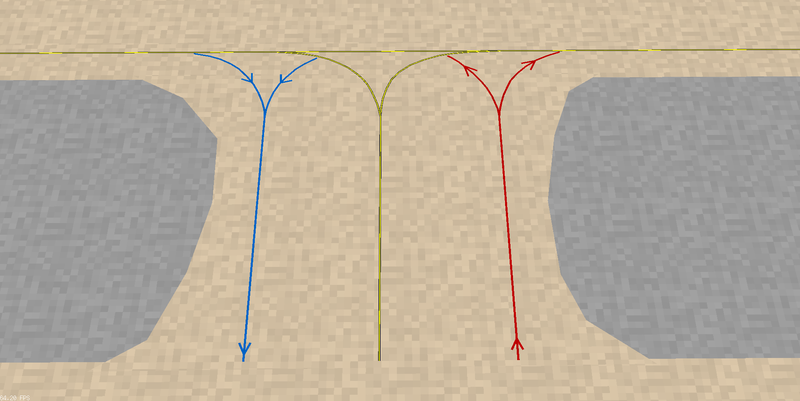 The terminal in the original reference diagram has a curved side to it as well as some other elements which would require a custom-built ground object. I do not have those skills (:P) so I decided to get as close as possible with an elevation grid structure that sort of mimicks the original terminal. 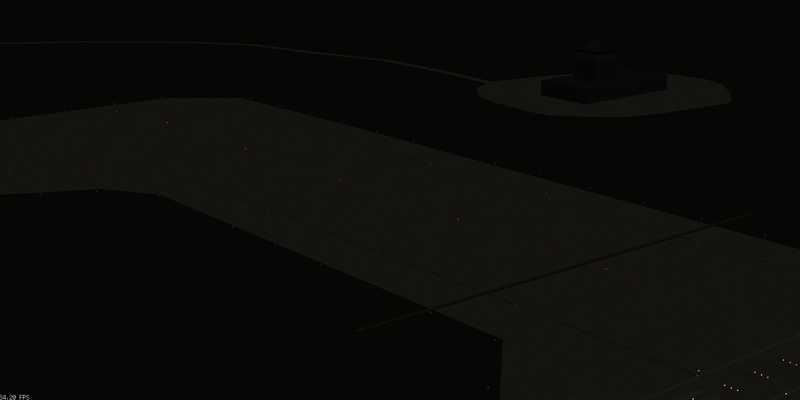 The airfield is about 92% complete, what is left is some airfield lighting, airside service roads and fire stations and such. I will do a simple island with a city and a road network as this is kind of a quick map, then get this airport/base on there and release it. Ahh yes, also wanted to mention that I have used Patrick's updated jetways for the terminal. At my request, he updated his jetways to have two different heights that would come up to the level of the main deck of most widebodies, and one that aligns with the upper deck L1 doorway of the 380-800. Those are available in his ground objects pack, so I highly suggest you download it if you haven't in the past year or so. Last edited by Turbofan on Tue Mar 12, 2019 1:04 am, edited 1 time in total. May I ask which version of scenery editor you're using? Hey Grigor, I am using the 2009 stable version. 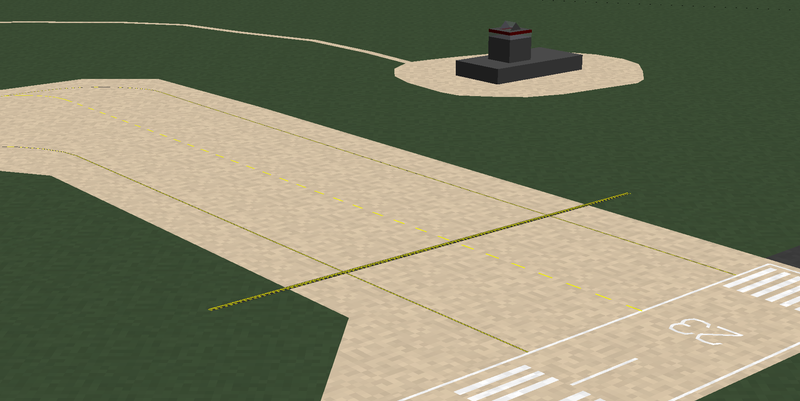 Airport is complete, working on the surroundings now after importing the airport into the island .fld file. Turning for very short final to RWY 18 at Maria Teresa Callejas International/Callejas AFB (IATA code: ML2; ICAO code: KML2). Map testing with the ultimate test plane, the stock T-4. Short final to RWY 09. This time with a much frame-rate heavier NCA 747-400, still getting 50 FPS or higher.